Eliminates frizz, adds instant shine, seals split ends. "This is an amazing product that will transform your clients' hair after tbe first use. It has luxurious ingredients that are expensive to derive. Extremely concentrated and a few drops will go a long way for hair and skin." "This is a wonderful product! I love the way it makes my clients' hair feel, especially after chemical treatments. I let my customers know about it and the other stylists that I work with! Every year I go to the Chicago Hair Show, and that’s when I first tried it out and it hasn’t left my side since then!" 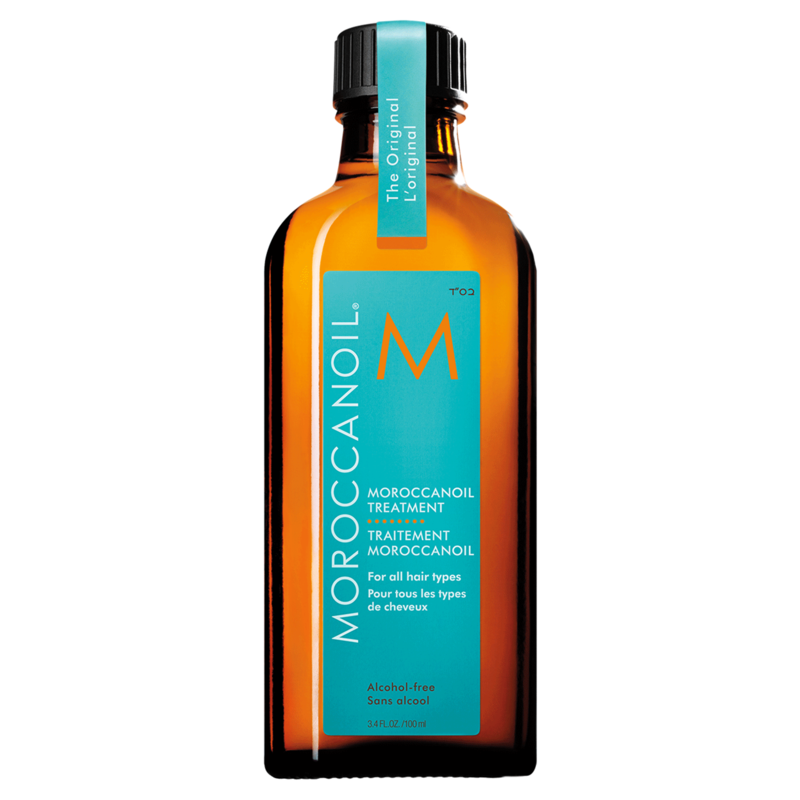 "Moroccanoil Treatment Original is a must have on my shelf in the salon and at home. One pump works wonders on all hair types from fine and thin to coarse and curly. Moroccanoil also works great on dry skin. Rub in a pump on your hands, or concentrate on a specific area!" "#1 oil treatment in my book! Especially wonderful for coarse dry hair. You only need a SMALL amount to work through wet or dry hair or both. Lasts forever!"